“Is that the toast coming up, already?” Mum says, sitting on the arm of the chair, peering into my sick bucket. 11.15 am. 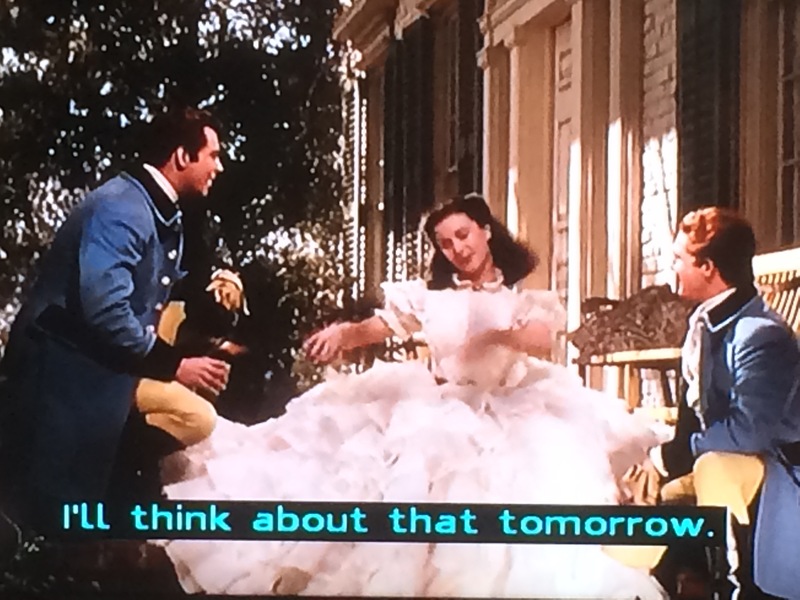 Gone With The Wind Has been playing for forty five minutes or so. Atlanta is burning. Am on all fours in front of the television, vomiting into the mop bucket. “I told you not to put cottage cheese on it,” Mum says. The sick level in the bucket rises. “Only had a spoonful of cottage cheese,” I say. “When this is finished you’re going back to bed,” Mum says, whisking the bucket away to empty it. Watch this with Mum every year. Seb has never seen it. “Saw it was on, but couldn’t face it,” he says when he calls at two o’clock today. Rhett has just given Bonnie a pony and need to get back to the film. Caught some of this tear-jerking children’s classic this morning, during first round of chundering. 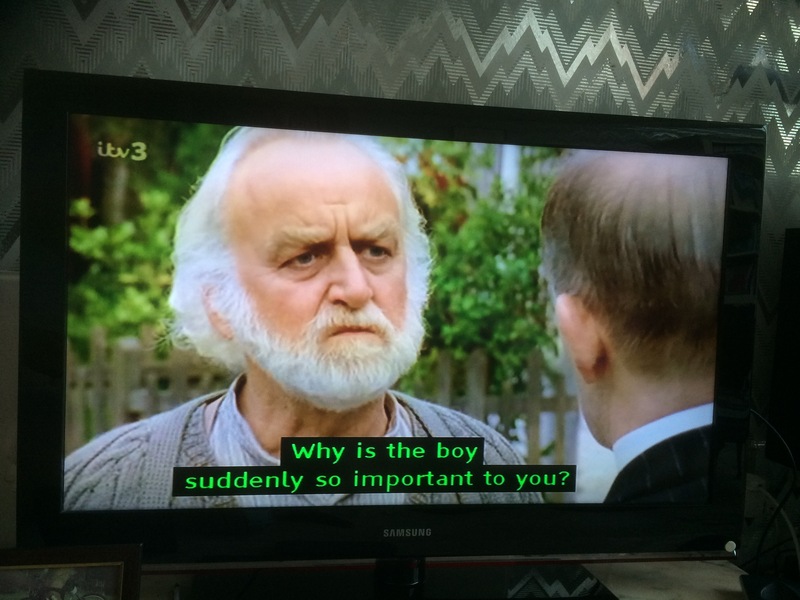 Stars John Thaw. Albert Finney as Hercule Poirot, snow and a perplexing murder on the world’s favourite train. The starriest cast can think of, even for an Agatha Christie: John Gielgud, Lauren Bacall, Ingrid Berman, Vanessa Redgrave, Sean Connery, Norman Perkins, Rachel Roberts, Jacqueline Bissett, Denis Quiller, Wendy Hiller, Michael York and others. Tomorrow there will be The Snowman (and The Snowman and the Snowdog). We’re watching something called All Aboard! The Sleigh Ride In which a Sami reindeer herder passes through the Norwegian Arctic north. There are huskies, reindeer and no soundtrack. It’s blissful. Bathtime. Maybe tomorrow will be allowed solid food. Hope so. Attached photo is Vivienne Leigh as Scarlett in Gone With The Wind. *1939. Classic Film starring Vivienne Leigh, Clark Gable, Olivia de Havilland and based on Margaret Mitchell’s 1936 book. This entry was posted in Uncategorized and tagged #agathachristie, #boyfriend, #breastcancersurgery, #breastcancertreatment, #christmas, #family, #film, #illness, #longdistancelove, #longdistancerelationships, #mothersanddaughters, #reindeer, #relationships, #television, #vomiting. Bookmark the permalink.